Cancer is increasingly recognized as “miscommunication” disease, in which inter- and intracellular signals are aberrantly sent and/or received, resulting in the uncontrolled proliferation, survival, and invasiveness of the cancer cell. Indeed, many of the genetic and epigenetic aberrations, which underlie the process of neoplastic transformation and progression, ultimately impinge on the inappropriate activation/inactivation of intracellular signaling pathways. Such signaling cascades usually proceed from the cell surface, where growth factors interact with their specific receptors, to cytoplasmic signaling intermediates, where different signals are integrated and both positive and negative feedback circuitry are in place to ensure signal fidelity and transduction accuracy, to nuclear transcription factors/complexes, which ultimately lead to the transcription/translation of effector genes and proteins involved in specific cellular functions. While the signal may be inappropriately transduced at several, and usually multiple, levels, one interesting feature of aberrant cancer signaling is that cancer cells may become “addicted” to specific signals and hence exquisitely sensitive to their modulation. 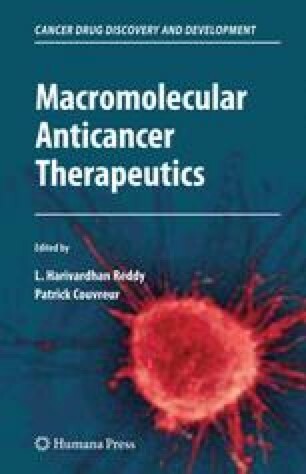 In this chapter we will describe the signaling process, highlighting the steps at which aberrant signal transduction may turn a normal cell into a cancer cell and the crucial points where aberrant signals can be modulated for therapeutic purposes. Finally, we will briefly touch upon relevant issues surrounding the clinical development of signal transduction inhibitors as anticancer agents.